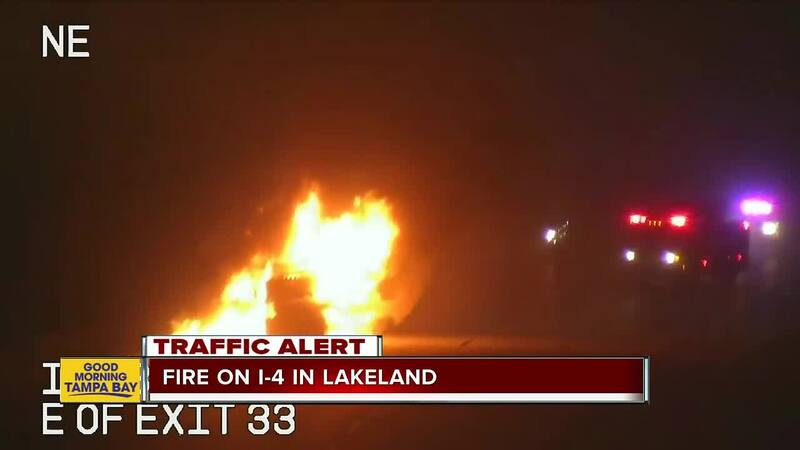 A vehicle fire closed lanes on I-4 WB during Monday morning's commute. Sarah Phinney shares detours on Good Morning Tampa Bay. A tractor-trailer fire caused major delays in Polk County on Monday morning. FHP says a tractor-trailer hauling sweet potatoes westbound on I-4 near the 35-mile marker suffered a mechanical issue and caught fire. The driver got out of the truck safely as it became engulfed in flames. Steven Tillman, 62, of Orlando, was not injured. As of 8:04 a.m., crews were working to open more lanes after the fire. Delays continue.